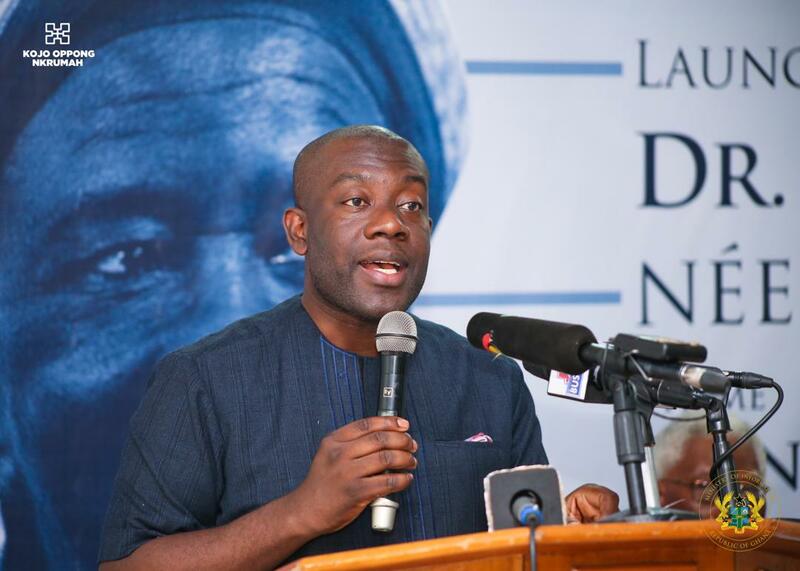 The Minister for Information, Kojo Oppong Nkrumah has praised the legacy and achievements of Ghanaian industrialist Dr. Mrs Esther Ocloo, popularly known as ‘Nkulenu’ and urged young entrepreneurs to emulate her can-do spirit. According to Mr Nkrumah, the work of Dr. Ocloo should serve as an inspiration to the current generation and spur innovation and productivity amongst them. Kojo Oppong Nkrumah was delivering the keynote address at a ceremony in Accra to launch activities marking the centenary celebration of the life of Dr. Mrs Esther Ocloo who died in 2002. The program was on the theme, “honouring a legend of her time”. He said the late renowned industrialist dedicated her life to helping others especially women to succeed. The Minister said like Dr. Ocloo; many young people can also take up the challenge and make major contributions to the development of the country. Dr. Mrs Esther Ocloo pioneering work in the development of the indigenous industrial sector in the country led to her establishing Nkulenu Industries as the first food processing factory in the then Gold Coast in 1942 which inspired many to do same. Thirty decades later she introduced Ghanaian foods through her industrious drive onto the International Market and paved the way for the export of several other Ghanaian food brands. When she passed on in March 2002 at the age of 82, the government then, headed by President John Agyekum Kufuor honoured her with a state burial.